I have a personal development programme in place to develop myself as a person, coach, tutor and manager to keep my learning up to date with current trends. This helps me in any football environment passing on my knowledge to players and coaches. I have always believed that if you want to teach the dedicate yourself to learning. I have based my learning on all aspects of the game to better equip myself for the game this includes; Technical & Tactical, Physical, Fitness, Sport Science, Psychological, Management, Youth Development, Goalkeeping and Teaching. 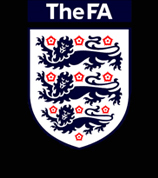 The FA Advanced was the highest coaching qualification and was a 2 week intensive course held at Lillishall National Sports Centre. The course director was Charles Hughes author of soccer tactics and the winning formula who was the FA Director of Coaching at the time. This course allowed me to observe a host of top FA coaches at the time and a lot of what I learnt is still relevant in the game today. 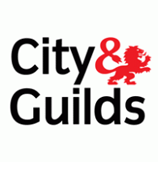 As an FA Tutor I undertook my Assessors Award to able me to carry out assessments and quality assurance in most learning environments including FE, Adult Continuing Learning, Employers and Third Sector. 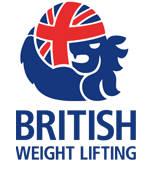 BAWLA is now known as BWL, I took the equivalent course to the currently named 1st4sport Level 2 Award in Weight Training, designed to allow the learner to efficiently and safely perform a range of Weight Training techniques. I gained an understanding of how to check that the environment is safe to lift and provide knowledge to perform an appropriate warm up and cool down. A 2 year course focusing on the Technical, Tactical, Physical and Mental requirements of modern football, so that I could devise, organise, conduct and evaluate coaching sessions in advanced skills, tactics, strategies and systems of play. 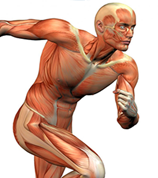 It also gave me an understanding of how to apply modern methods for sports science and sports medicine. 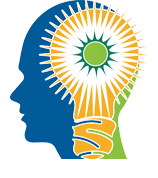 NLP stands for Neuro-Linguistic Programming. Neuro refers to your neurology; Linguistic refers to language; programming refers to how that neural language functions. I undertook this 2 week intensive course which gave me the skills and understanding of how that neural language functions. A mandatory course for all FA Tutors who deliver FA qualification courses as well as anyone that takes on the role of developing others within a football environment and is aimed at supporting and developing the teachers of our game. Through this programme attendees gained a full understanding of The FA’s Approach to Learning, The FA’s Learning Philosophy and Methodology to equip tutors and developers who can exert positive influence on the delivery of FA education programmes in the future. This 1 year course gave me underpinning knowledge around youth development. The course was delivered by John McDermott who is a leader in his field of youth development and Paul Bracewell the ex Everton midfielder. After completing the Goalkeeping ‘B’ Licence I decided to further my Goalkeeping knowledge by undertaking the 1 year Goalkeeping ‘A’ Licence. The course content consisted of; Developing the goalkeeper’s role: Attack/Defence/Transition, Conditioning for goalkeepers, Fitness Testing for goalkeepers, Defending set pieces, Analysis of the goalkeeper in the game, Goalkeeper profiling, Current trends in goalkeeping, The role of the goalkeeper coach, The profile of the goalkeeper coach, Talent Identification, Scouting, Managing the goalkeeper coaches environment, Advanced physical preparation of the goalkeeper, Periodization/Planning, Mental preparation of goalkeepers, Stress management of goalkeepers, The goalkeeping staff working with other staff, Training styles/Decision making and Individual/Team planning. This 1 year course provided me with the opportunity to gain an in-depth understanding of the physiological, nutritional and metabolic demands of exercise and training, and their implications for participation in sport and football for the maintenance of good health and fitness. preparation for managers and coaches to work at the elite level of the game in a managerial capacity. The course was designed by using a competency based approach and was delivered in a number of modules over an 18 month period, combining distance learning and club visits to support and enhance the learning. The content was a mixture of theory and practical based delivery using the latest technology. I was challenged to extend my knowledge of coaching and transfer this understanding, skills and behaviours into a leadership and managerial role with a focus on producing high performing teams. I acquired an understanding of what is required to lead and manage a team of coaches, specialists and support staff in elite football in order to deliver winning performances. I also gained an understanding of leadership and management in the wider context of a football club and beyond. I had the opportunity to learn from, and with, senior performers from a variety of contexts and to apply that learning to my own club experience. I also undertook critical self-reflection and analysis on the relationship between the coach, environment, player and game at the elite level and develop my knowledge and skills in a senior leadership context. 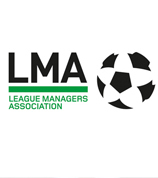 The 1 year LMA Diploma in Football Management enhanced my leadership abilities as well as sharpening my strategic thinking, gave me practical insights into the modern practices of sports performance management and gave me a broader perspective on the many challenges and complexities of the football industry. To broaden my knowledge in this important element of football I undertook the 2 year course to better educate myself in all aspects of fitness development. 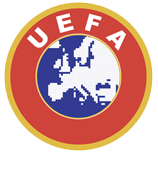 The award, as part of an overall quality control system of approved FA Fitness Trainers the aims was to educate and train in the knowledge, skills and practices required in order to deliver safe and effective football specific fitness programmes for teams and individual players. 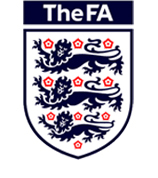 To further broaden my knowledge and understanding around youth development I undertook the FA Youth Coaching Awards. Module 1 focussed on developing the environment. Module 2 focussed on Developing the Practice and Module 3 Developing the Player. 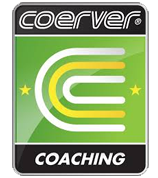 The purpose of the Coerver Coaching Youth Diploma is to give coaches a greater understanding of how to plan & deliver more effective coaching sessions. This was made possible by learning to use the Coerver Coaching Session Planner which provided a quick & easy solution for youth coaches who would like to construct weekly, monthly or even season long programmes using proven, high quality drills & games from Coerver Coaching. As I was previously a Director of Coerver Coaching this course allowed me to top up on my Coerver knowledge and understanding. This course has been designed to examine and develop the necessary capabilities of forward players in the modern game. It aims was to identify the different roles and responsibilities of forwards and the complementary tactical and technical skills necessary to perform successfully. The development of athletic and psychological skills will also be covered. Practice for the individual forward, forwards working in tandem and the functioning of forward players in team play was featured.